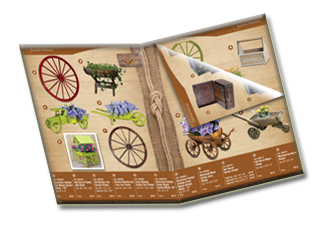 Our new catalog features many new products, including antique style luggage, small boxes, old style crates, leather trunks, antique suitcases, pirate chests, magazine holder, Garden planters, storage baskets and our new umbrella holders and bins. Click here to download a PDF version of the latest catalog (sign in required). For a complimentary catalog to be mailed, please fill out the form below.